HeatnBond Feather Lite is a lightweight iron-on adhesive that has a strong bond without adding extra weight or stiffness to a project. The solid sheet adhesive and paper-backing allow designs to be drawn, traced or printed and then easily cut out. 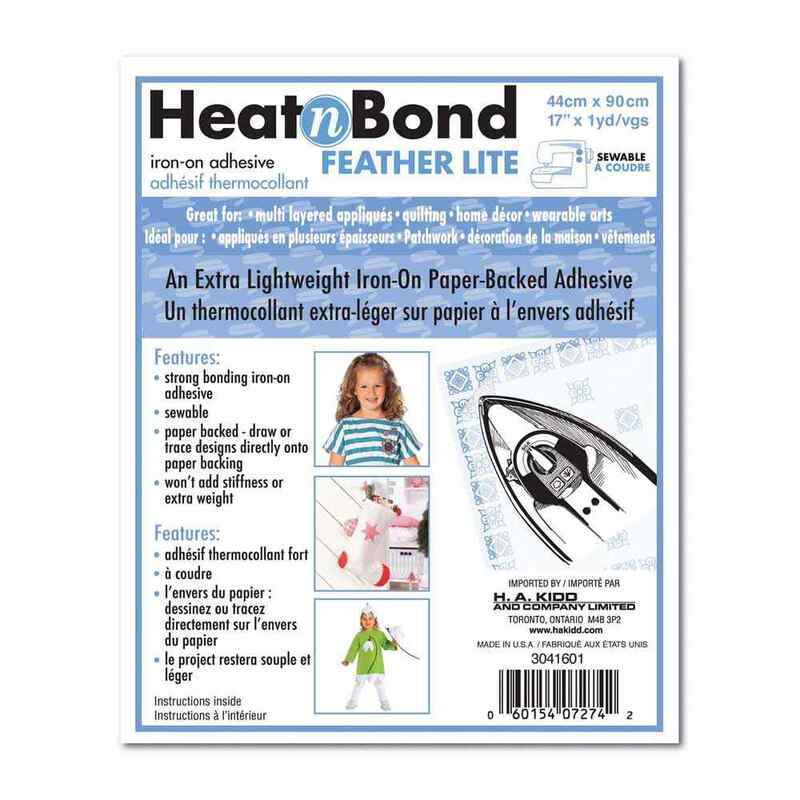 Once applied, HeatnBond Feather Lite is easily sewn through, making it ideal for multi-layer appliqués, quilting, home décor, wearables and much more. Which HeatnBond product should I use? A flowchart.